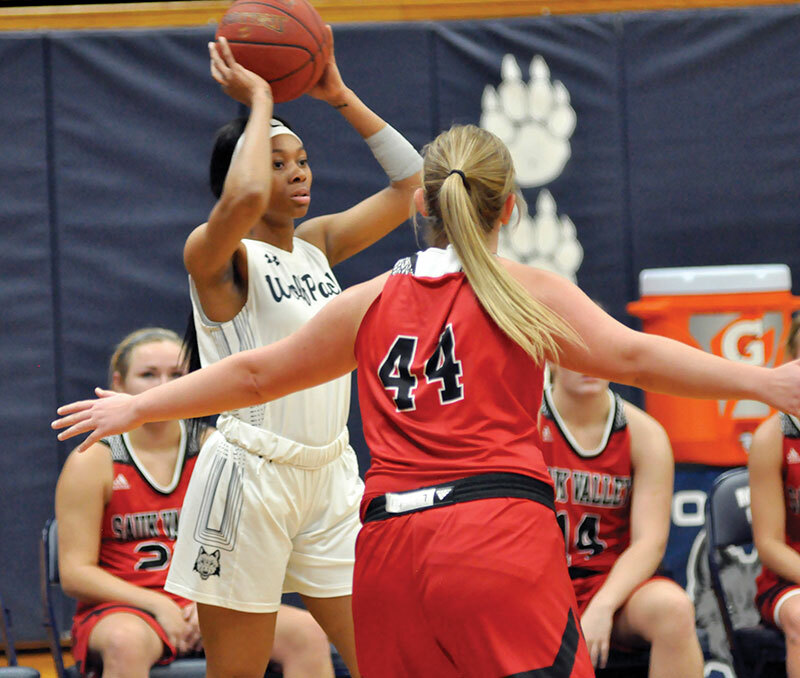 Madison College women’s basketball player Aniah Williams, left, looks to drive past a Sauk Valley Community College opponent during the WolfPack’s victory on Nov. 14 at Redsten Gymnasium. 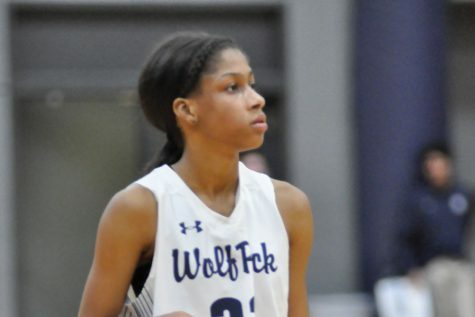 The 2018/19 season-opening road trip was rough going for the WolfPack women’s basketball team as they lost the first three contests by significant margins. The loss to Anoka-Ramsey Community College by a whopping 37 point spread marked the first time the ‘Pack has lost the first three games of the season since 1999/2000. Now, after picking up three wins in a row, it looks like the tides could be turning. Over the first four games, possession seems to have been the team’s kryptonite. During this stretch, the ‘Pack averaged 25 turnovers per game. Normally this would not be a major issue with the team’s fast-paced offense, however over those four games their field goal percentage has averaged at 31.5 percent, not a great statistic when paired with the turnovers. 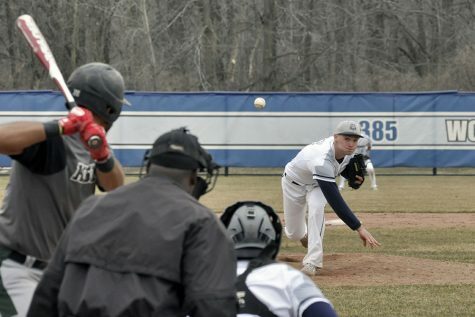 On a more positive note, the WolfPack managed to pick up a close win against Sauk Valley Community College in the home opener last Wednesday, which could prove useful as a turning point in the young season. Both field goal percentage as well as turnovers were an improvement in the narrow 68-65 victory. 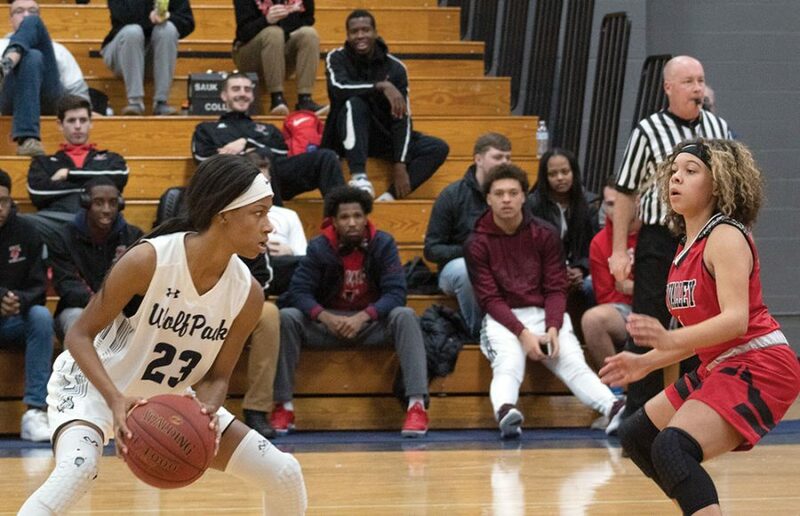 After several lead changes both early on and deep into the game, the ‘Pack edged out a close but hard fought victory behind Aniah Williams, the freshman guard whose hot hand kept victory in sight for Madison College going into halftime. They trailed by a single point going into the locker room. Williams finished on the night with 17 points, nine of which came from three-point range. She also led the team in rebounds, with eight. 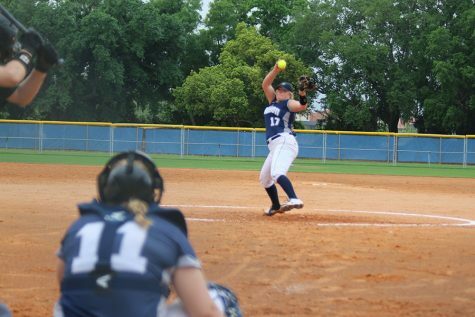 Freshman teammates Jayla Connor and Evonne Strahm also stood out in the victory. Although Connor missed a key late free throw, she recorded 14 points with a 50 percent conversion rate over the course of the game, no doubt playing a major role in the team’s win. Strahm also had strong numbers, scoring 13 and leading the team with 5 steals. The freshman trio have had similar production rates earlier in the season, however they finally seem to be able to outcompete their opponents over the two win stretch. What’s more, sophomore Caitlyn Gilbertson was able to make an impact; her experience no doubt played a factor in the win. Although SVCC managed to keep her quiet in the paint, she drew a key late foul and sank both of her free throws to secure the win for her team. Madison College women’s basketball player Jayla Connor looks for a place to pass the ball during her team’s game against Sauk Valley Community College in Redsten Gymnasium on Nov. 14. As the new but promising team continues to mesh both on the court and off, it will be very interesting to see how the rest of the season plays out. Fundamentally, the ‘Pack is as good as any team in the conference. If they can get their high-powered offense converting possessions more frequently while taking better care of the ball, success should follow. Conference play begins at the turn of the new year, and the WolfPack should be running on all cylinders by then. For now, the team goes back on the road at Elgin Community College before returning for another three-game home stand against Western Tech, UW-Waukesha, and UW-Richland starting on Wednesday, Dec. 5.